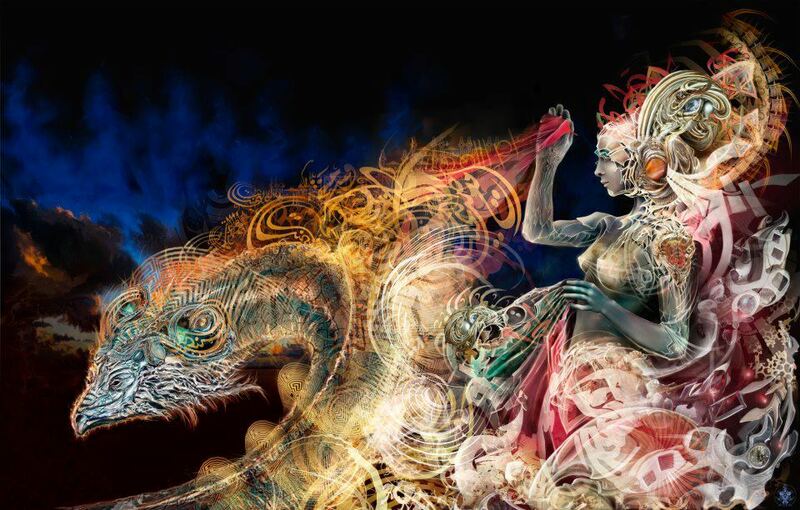 Visionary Art is a conceptual vision of the emotions, energies, and peaceful patterns created as a visual form. 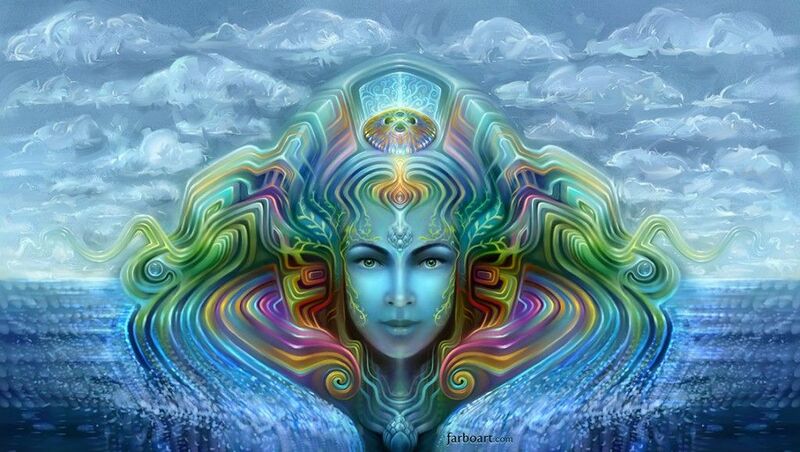 Body, Mind, Spirit, Soul, Believes, Attitudes, Visions whatever the term you want to use, visionary art is a window in the artist depiction on the spiritual world. Influences from Meditation, interactivity, electromagnetic wave lengths, and maybe a few psychedelic take you on a journey into a surreal spiritual world. We will start the list of with one the more profound artists in the visionary culture. Android Jones is a trendsetter when it comes to unique ways of utilizing digital tools to create incredibly detailed pareidolic masterpieces. 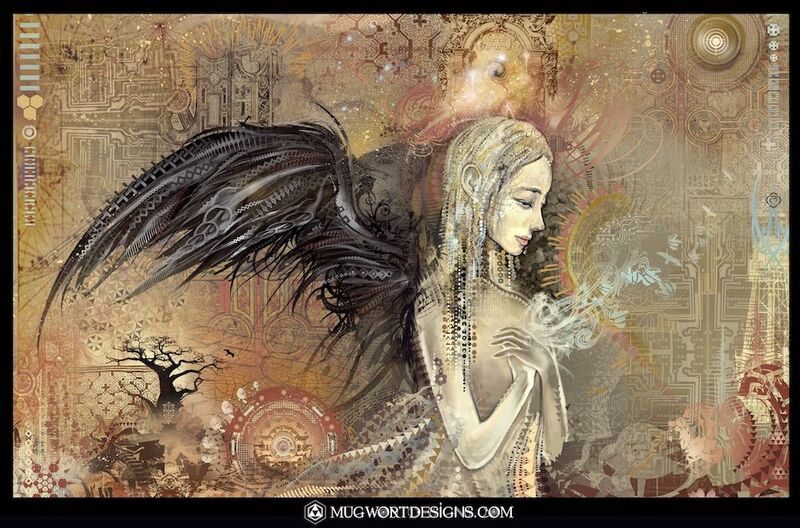 Aussie Cameron Gray’s blurs the boundaries between the light and dark in the digital art that he creates. His fantastic visions depict anatomical renditions of the human form in various stages of enlightenment and transcendence. Alex Grey is one of the rare truly-inspired artists of our age. 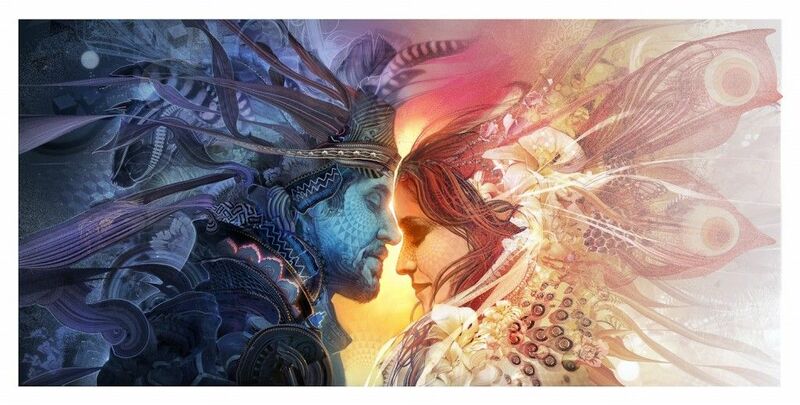 He is best known for his paintings which portray multiple dimensions of reality, interweaving biological anatomy with psychic and spiritual energies. He not only paints humans with medical precision, but he also paints many dimensions of the actual human being. That is, he paints the actual subtle energy bodies of the human, as well as the obvious physical flesh body – creating a separate painting for each “plane” or “dimension” of the human energy field. 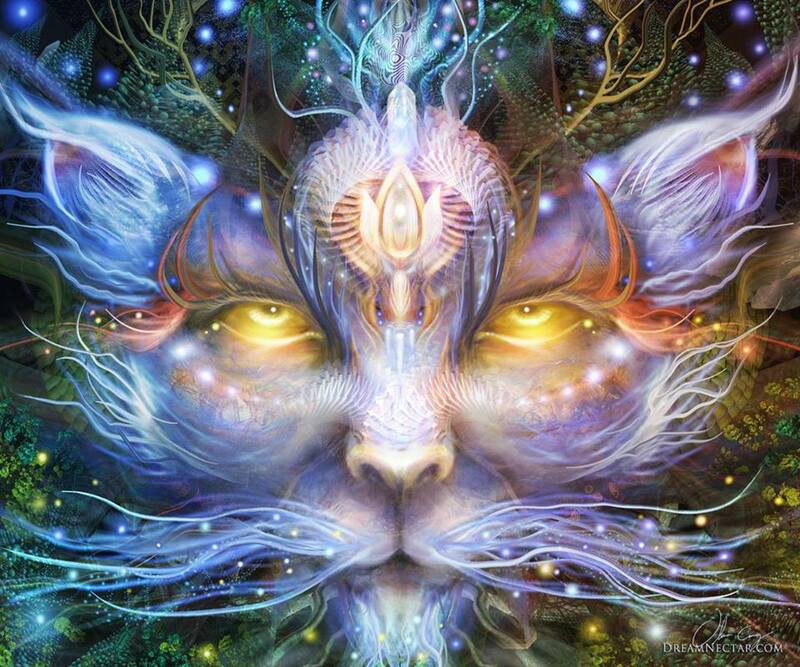 This is truly higher-consciousness “visioning”! 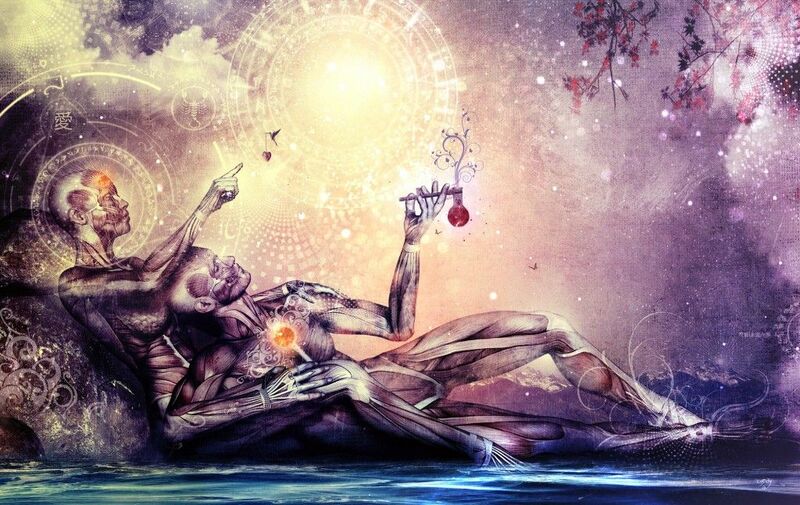 His art combines the Sacred-Divine with the precision-externalization of multi-dimensional vision. Isaac Mills aka Mugwort Artemisia is a young lad from British Columbia. His creations can be seen gracing the covers of numerous electronic music albums. Luminokaya depicts the world of vibration with incredible sensory vision. His work is a result of a huge amount of data coming from the great field of energy and information in forms of light and energy waves, visions, images, dream-state objects, trans personal visions and visions beyond personality, and also symbols, signs and channeling. Olivia Curry works in both traditional and digital mediums and you can really see the traditional technique come through in the digital work. Olivia’s gentle strokes and feline inspiration makes for some really interesting cat pictures. 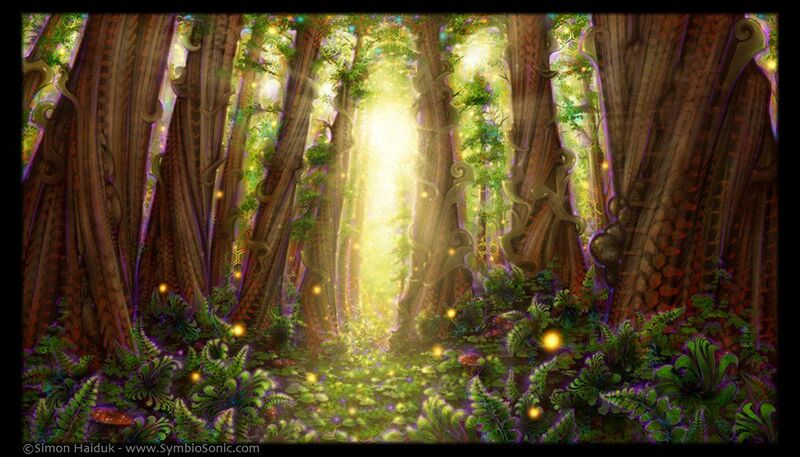 Simon Haiduk’s works are heavily inspired by nature. His trans-realistic landscape scenes are often translated into motion graphics. Abhi Thati is a young artist with a hefty dose of raw talent. In addition to creating amazing digital art, he also has a live performance digital painting and video mixing act that he has toured with. Fabien Jimenez uses brilliant colors and flowing forms combined with alien-like portraits to convey otherworldly scenes.